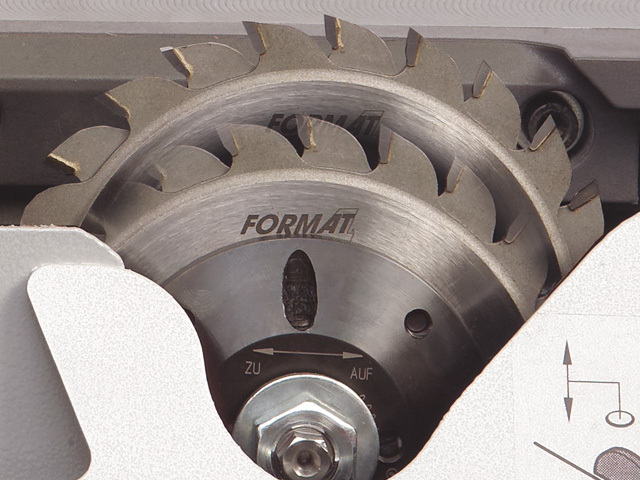 The Format-4 kappa 400 x-motion is convincing in every area. 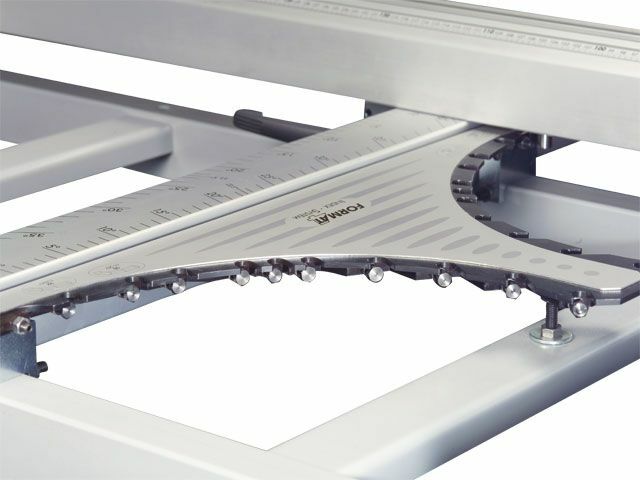 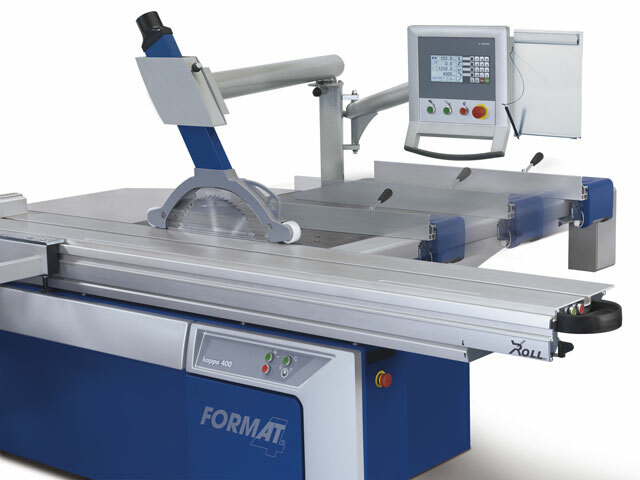 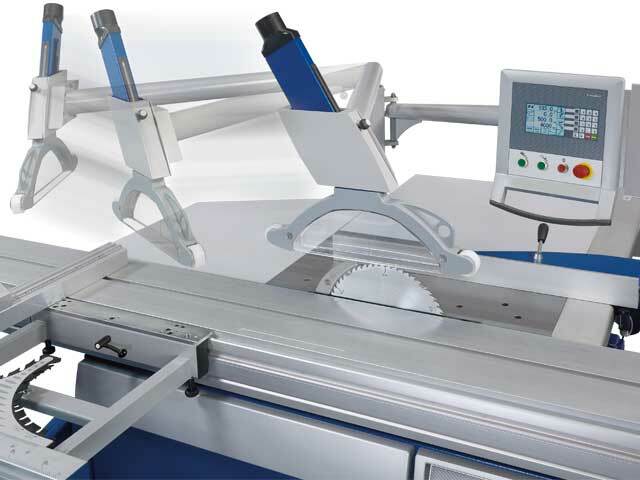 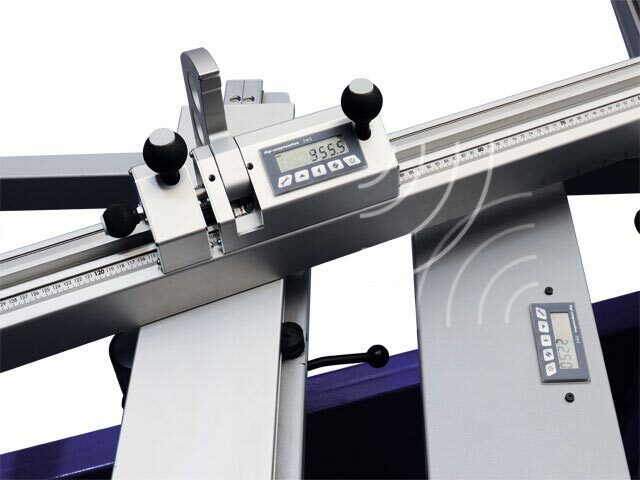 With extremely good value for money all the other factors fit together perfectly: 3 controlled axis, heavy duty saw assembly, format sliding table, ease of use and precision. 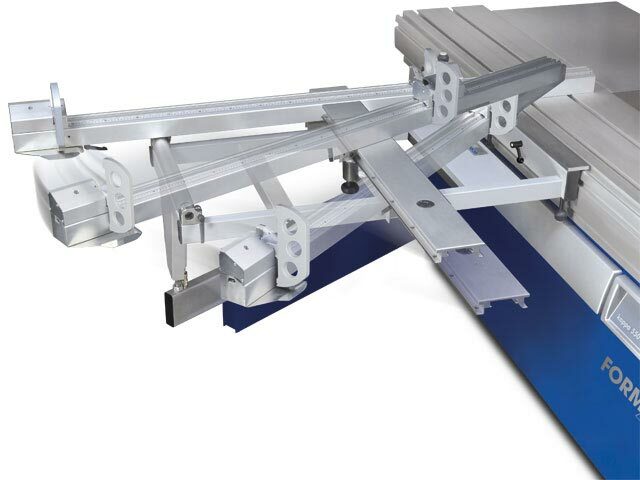 A highly robust synthetic material located in the guidance track of the tilting brackets, ensures they run smoothly and maintenance free even under the most extreme conditions. 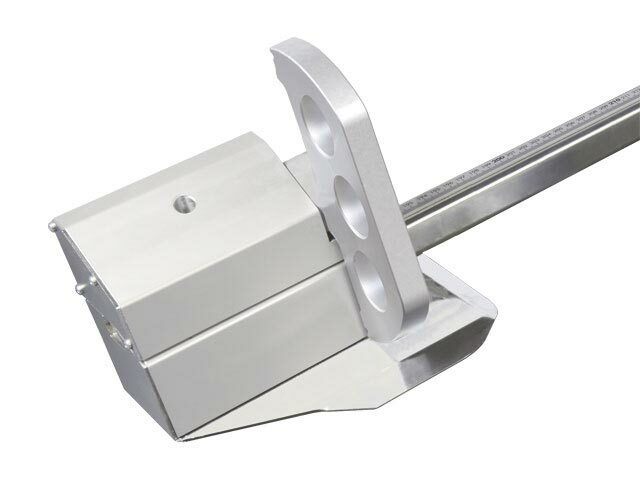 The tilt guide segment runs without lubrication and is insensitive to dust. 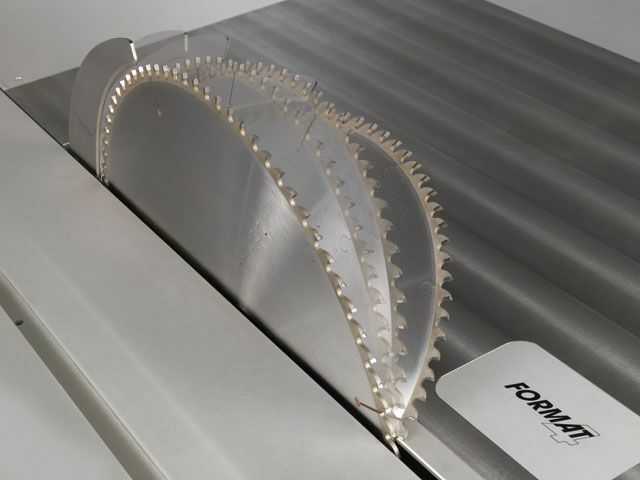 The scoring blade setting information can be stored in the tooling database for the main sawblade used. 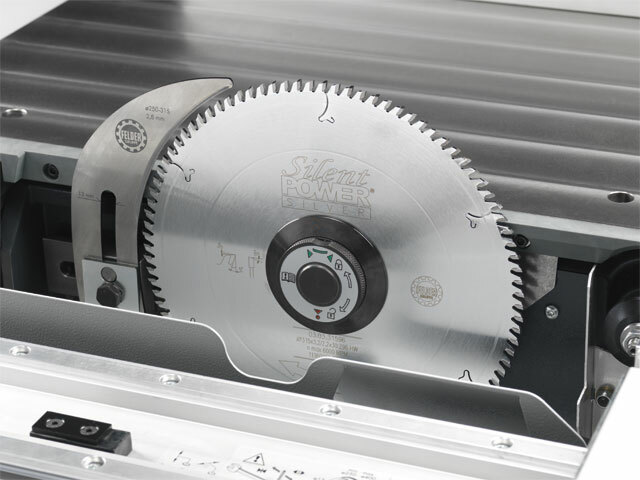 When the same main sawblade is used again the scoring blade will reposition itself for that particular blade. 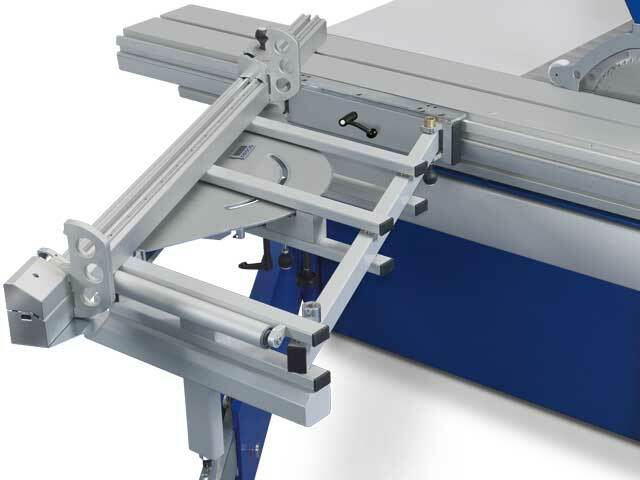 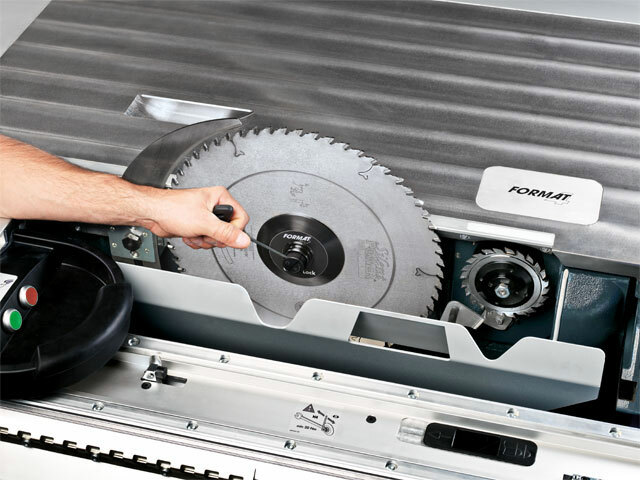 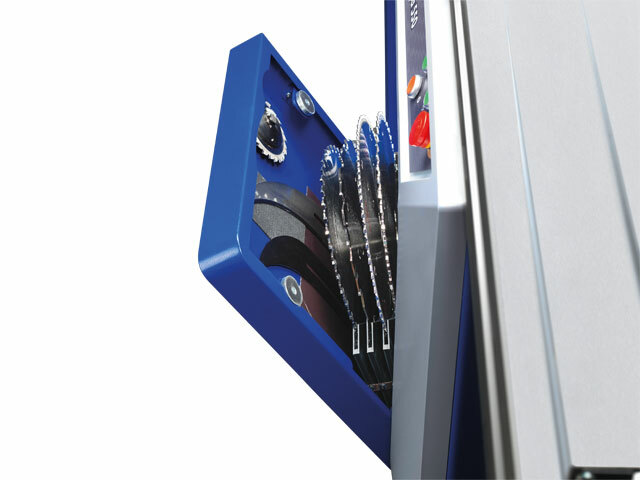 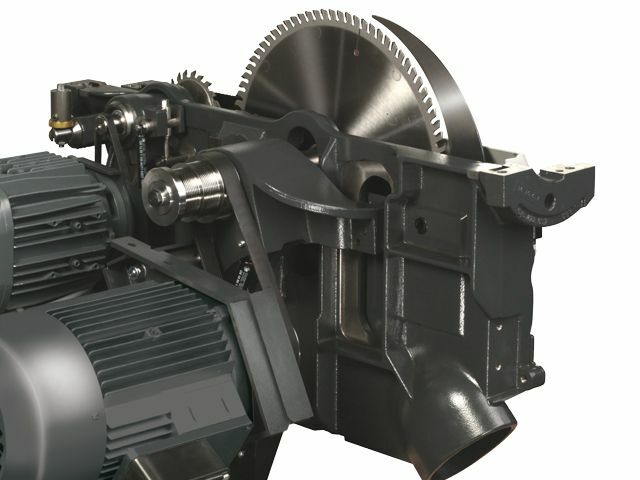 The rip fence is positioned by a motor and runs via a dust-free integrated ball spindle in the saw table. 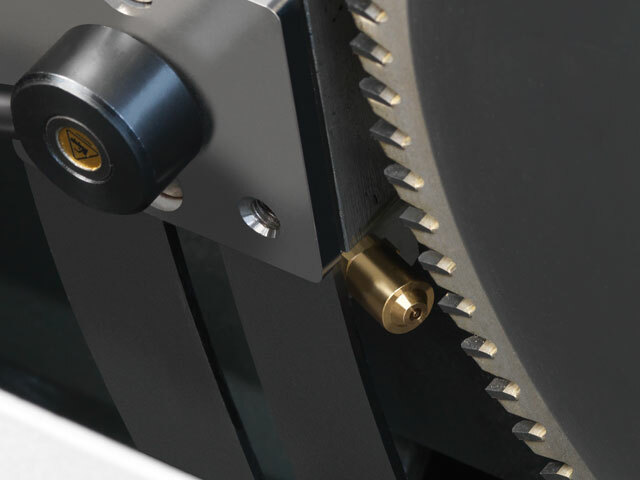 With an accuracy of .004” (.1 mm), the rapid and simultaneous positioning of the rip fence, saw blade height and cutting angle ensure precision, increased productivity and higher profits. 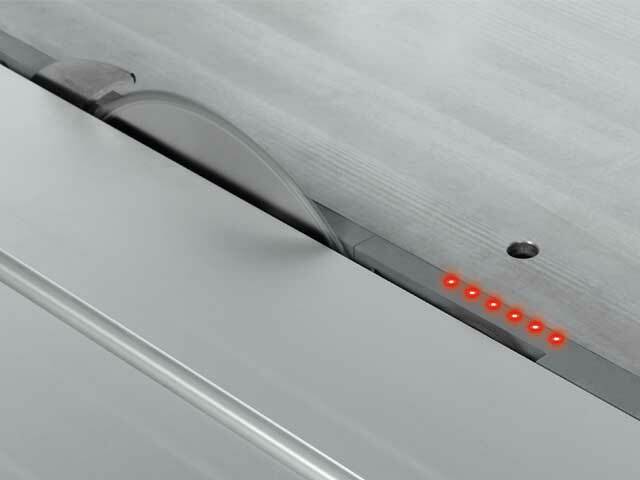 Extremely smooth and precise sliding action! 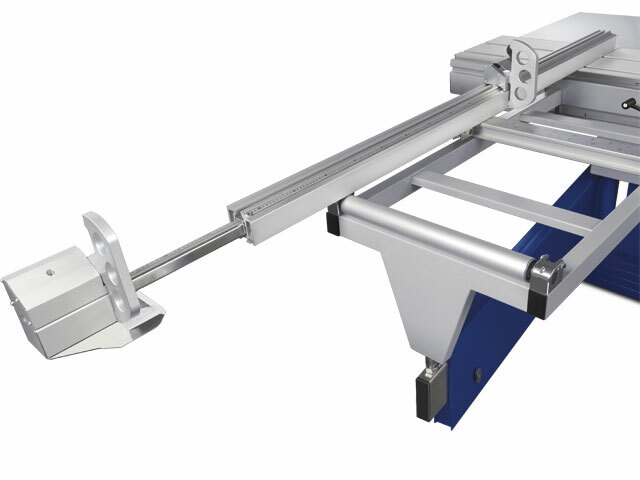 With the roller-bearing system there is no single point of contact between bearings and guiding track, maximizing precision over the lifetime of the machine. 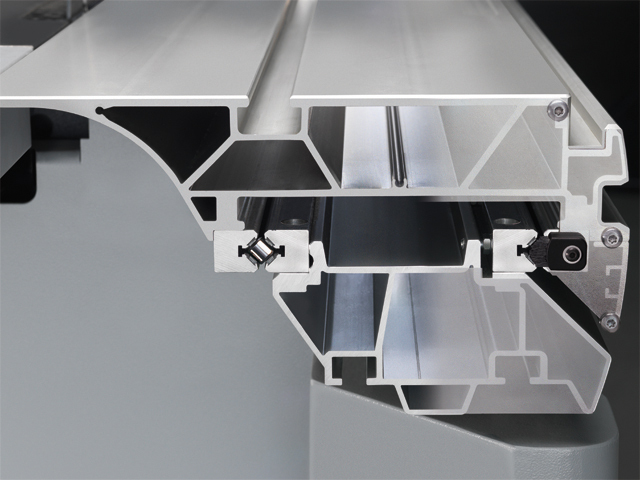 Clean, dust-free guide rails obtained by special wipers and brushes. 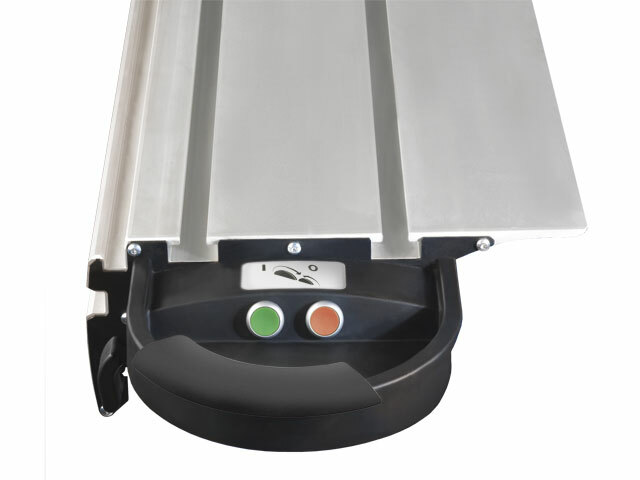 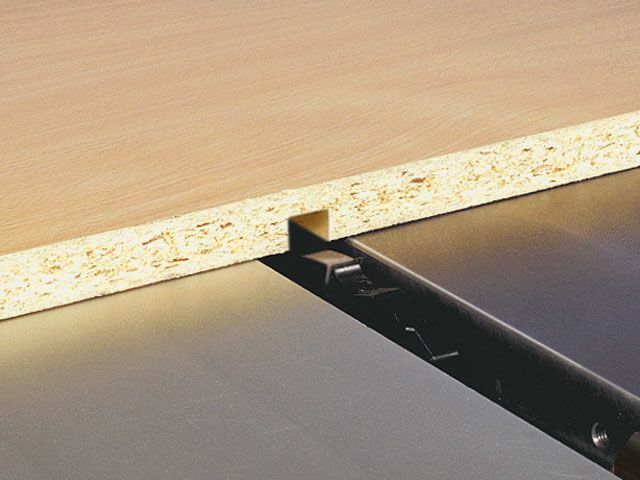 Smooth movement of the sliding table ensured by hardened steel, ground-bearing tracks. 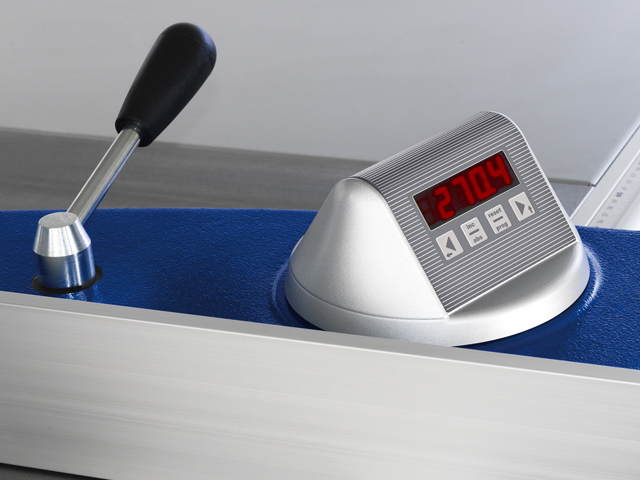 No reading errors due to scales and vernier. 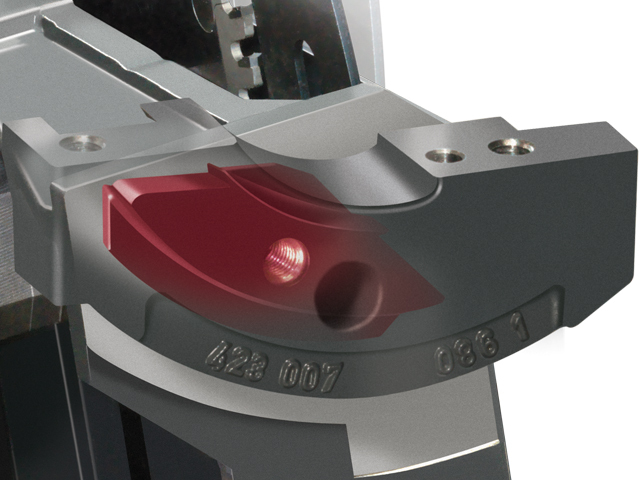 No time-wasting due to arduous approximations of angle values. 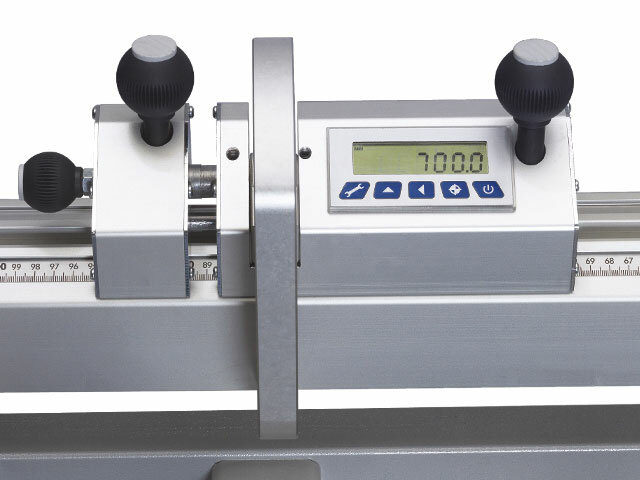 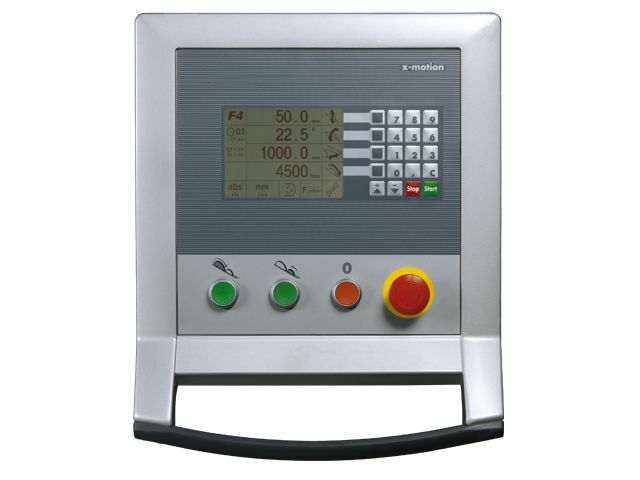 The advantage of the FORMAT-4 degree index is that the stop is set and fixed without losing time or making reading errors.